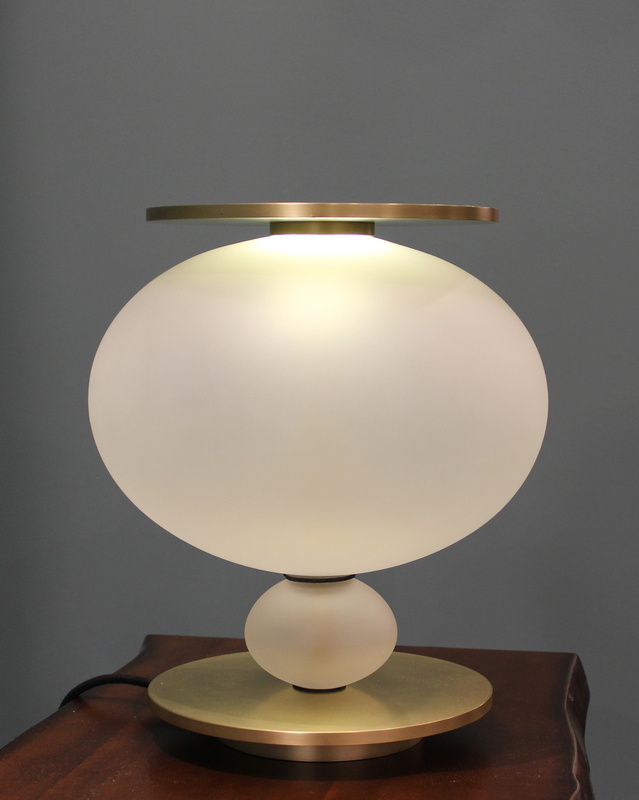 Our Stones table lamps offer our signature hand-blown, sandblasted glass diffusers. 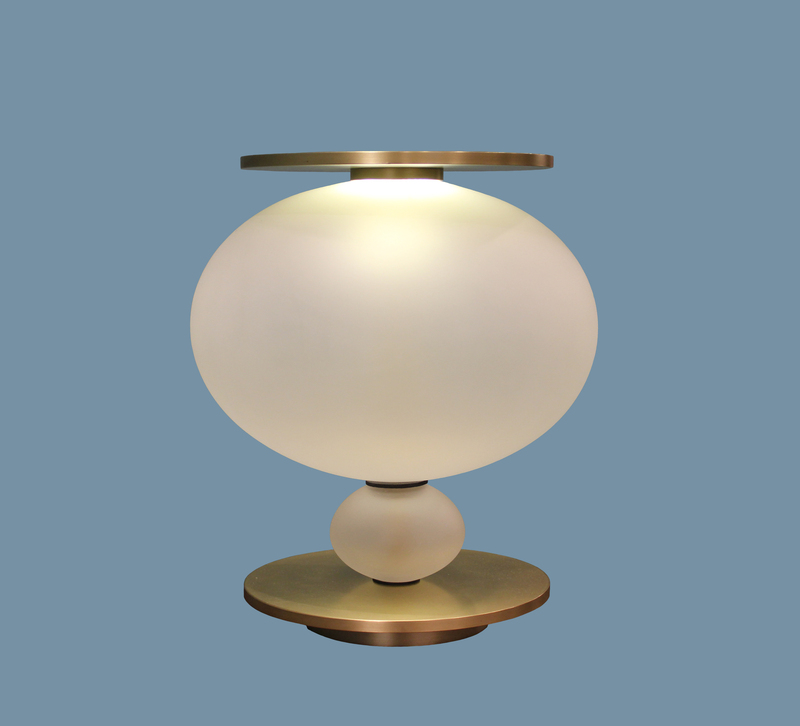 With an overall height of 14-15” , the Stones table lamps solid brass parts ship with a satin finish (electroplating and patina finishes available). The large diffuser is sandblasted clear glass, while the smaller diffuser can be custom colored to compliment your projects colorway. 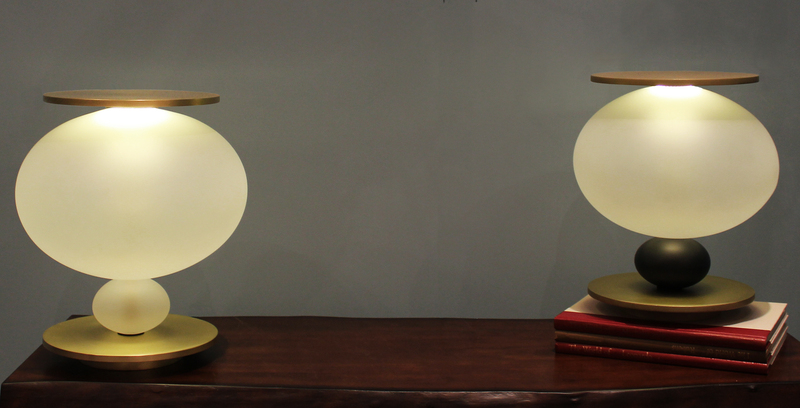 Our Stones table lamps use a 1.5 watt dimmable LED ring lamp and a black cloth covered cord with a rocker switch. All of our work is fully customizable. 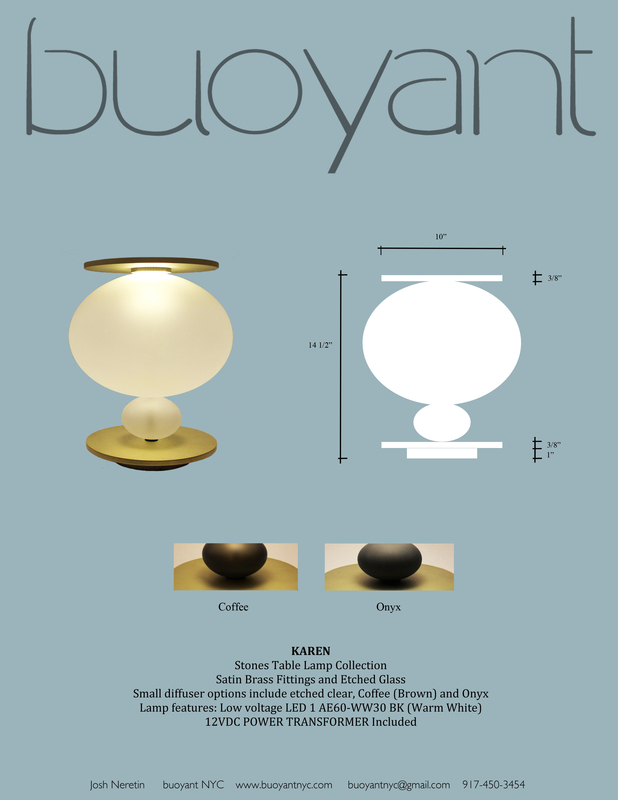 Please contact us for more information on this fixture.